Exclusive interview:	Leila Khaled speaks on the Israeli attack on Gaza | Fight Back! Leila Khaled, a leader of the Popular Front for the Liberation of Palestine and Fight Back! editor Mick Kelly. Leila Khaled, a leader of the Popular Front for the Liberation of Palestine, was interviewed in Beirut, Lebanon Jan. 17 by Fight Back! editor Mick Kelly. Leila Khaled was among the speakers at the Beirut International Forum for Resistance, Anti-Imperialism, Solidarity between Peoples and Alternatives. 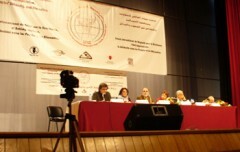 The Forum was held at the UNESCO Palace on Jan. 16-18. 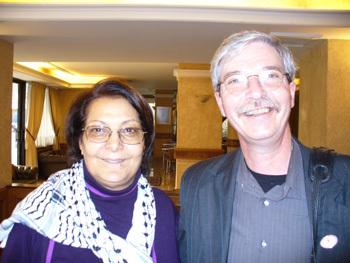 Interivew with Leila Khaled, a leader of the Popular Front for the Liberation of Palestine.